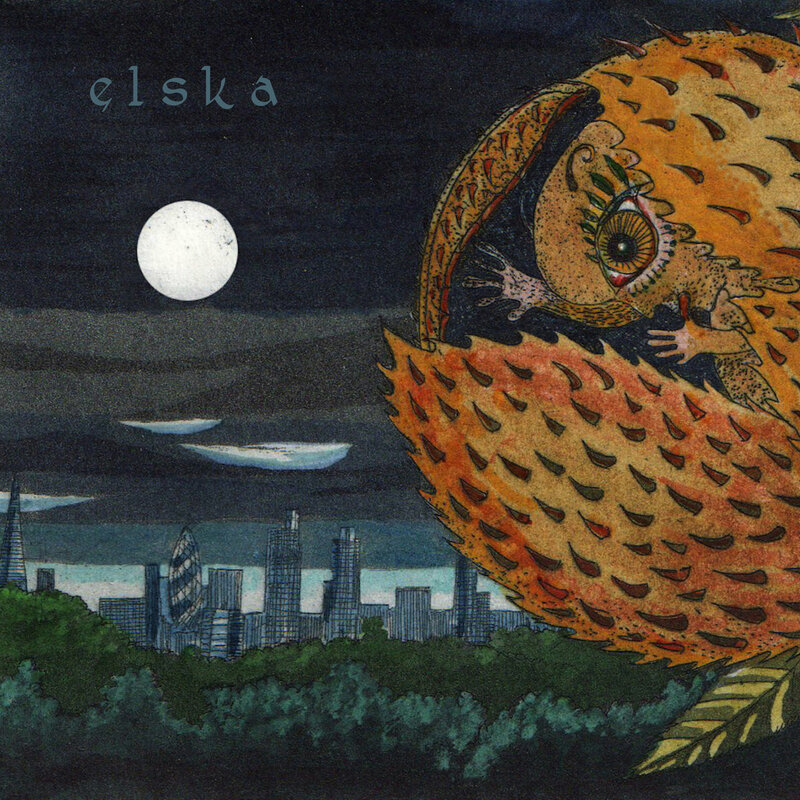 Elska is the project of Brooklyn composer Laura Boland, who previously provided vocals for the noir-tinged Bella Koshka, as well as weaving melodies with soundscapes in the ambient duo Stehla. On her self-titled debut, Laura, who has trained at the Conservatory at Brooklyn College, is showing her many talents by writing, performing, recording, and mixing. Laura explains that this project name is “from old norse elska, from proto-germanic *aliskaną ~ “to care for, cultivate, cherish… to love.” She describes this album as a “26-minute love story between the restless dreamer (the moon) and the grounded soldier (the earth)” and that is exactly the type of cinematic experience awaiting the listener. Filled with static and the gentle clicking of a music box, it conjures the sensation of entering an empty recital hall in a dream sequence. The studio experiments of Sparklehorse come to mind when the crackling of a wandering radio station dial mixes with reed organs and pianos. it’s extremely calming in this fantasy setting, vibes of a cloudy late afternoon with a light rainfall. Your sightline is a reflection in glass perhaps, familiar but yet different and stretched. There are beautiful stereo spreads of loops treated with granular synthesis, and random distortion acting as a voltage-starved memory crackling in your subconscious. Laura’s vocalized melodies are your guide, like an obscure hand on your shoulder providing reassurance, while at other times a voice calling across the starry sky in your slumber world. This is a gorgeous dark land that anyone with an affinity for classical or ambient scores needs to travel to. Included is the one created for ‘allelic’ made in collaboration with Carolyn Schoerner. allelic from Elska on Vimeo.